You may have noticed over the last couple decades how there has been a significant shift in the food millennials are going after in restaurants around us. Bold, daring and different, this culinary creations came about largely to please the millennial generation’s exploratory palate. The purchasing power of this generation means big profits are there to be made if you understand what it is that these culinary daredevils seek in regards to their food choices. One of the reasons why we’re seeing so many new and interesting combinations of flavors is much thanks to millennials demanding authentic new flavors. Kitchen crews have steered away from traditional fare and have upgraded it with new twists and creative flair. This is why we’ve now got amazing combinations that were previously never thought of, like Korean galbi tacos, which beautifully blends a unique Korean rib dish with the delicious Mexican staple of tacos. This kind of hybrid fusion cuisine masterfully combines cultures to bring something fresh to the table. Millennials prefer healthier items –Organically Natural– and tend to go organic more often than other diners. They seek out fresh and unprocessed ingredients, and restaurants are responding to this healthy desire by creating healthier choices. This differs from earlier attempts to provide low calorie menu options in that these items shift focus onto what their customers are getting instead of what they’re giving up. It works too, because millennials deliberately seek out these superfoods. One of the biggest to dominate plates in the last few years is kale. Once just a decoration at the salad bar, this nutrient-packed vegetable is now everywhere. 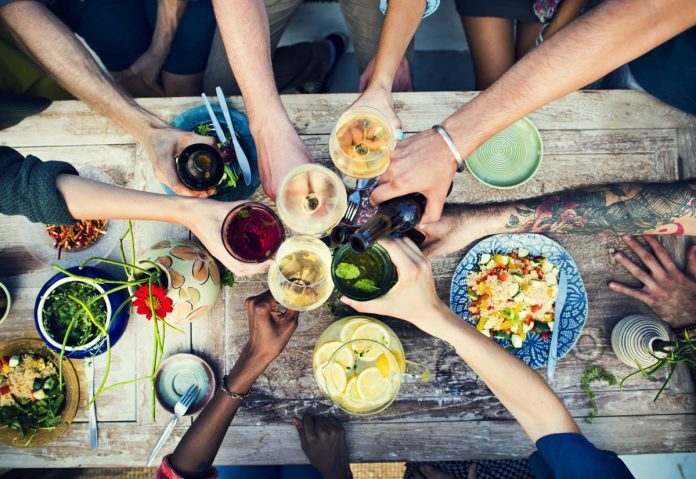 In its Generational Consumer Trend Report, Technomic says, “Millennials do seek out a strong value proposition and quick, convenient food, but they also value restaurant experiences that allow them to connect. They are a unique, seize-the-moment group, looking for items they crave and that they can make their own.” Food Millennials prefer are a have-it-your-way generation, with a twist. Instead of creating a burger with chopped, raw onions, they’re caramelized. Mayonnaise is old news. It’s now infused mayonnaise with pesto or Sriracha. And while we’re speaking of Sriracha, like kale, it’s the new big thing. Bold and exciting, it’s like what salsa was to us in the 1980s. According to Flavor & The Menu, you can expect to see the savory, spicy and pungent Korean gochujang as the next trend set by millennials in the foodie world. You’ll also be seeing a lot of the Tunisian hot sauce harissa, and more exotic bold pepper tastes from around the globe from places like Turkey and Peru, giving us even more ways to eat the world.